Can they be effective, though? In India’s vicious social media space, what could possibly bind a young engineer from Lucknow with a dentist from Bangalore? For one, the desire to bust myths about their faith. Adil Rashid, 24, and Fathima Kouser, 40, seek to counter “misinformation” about Muslims and their practices, from instant triple talaq to Ramzan and azaan. At the same time, they lend their forceful voices to the debates on cow slaughter, mob lynching, Uniform Civil Code and other issues confronting the community today. They are joined in their effort by people whose activism spans online and offline spaces. People like Imran Pratapgarhi. The 30-year-old poet’s political repartee draws huge crowds in Bihar and Uttar Pradesh. His subject matter encompasses everything from electronic voting machines to the singer Sonu Nigam, whose tweet on azaan sparked a fierce debate on social media in May. The motives of these digital activists are varied: to counter stereotypes about the Muslim way of life, reclaim the secular ground in an increasingly majoritarian society, take on right-wing voices directly, advertise the good work done by the community. A few are looking for inspiration and direction. Theirs is no easy task given that they are often up against “war rooms” run by political parties, especially the ruling Bharatiya Janata Party, which use an army of volunteers to flood Facebook, Twitter and WhatsApp with their messages. Rashid believes that Muslims have become more vocal online since the BJP came to power in 2014. In his home state Uttar Pradesh, too, there was a “burst of activity” on social media after Adityanath was appointed chief minister in March this year. Kouser, a mother of two, runs her own Twitter account and is part of the five-member team managing @MuslimVoicesIN. A fashion blogger, sports marketing executive, scientist and lawyer make up the rest of the team. 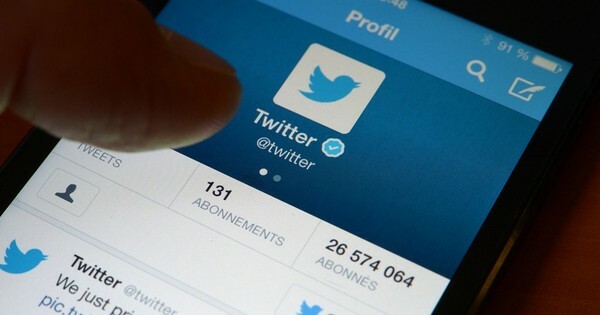 They regularly invite guests to curate and post tweets. The handle is one of the few spaces where the minority community is making a united attempt to counter right-wing propaganda. Kouser feels the Muslim voice, just as Muslim politics, is fragmented but is hopeful that the community’s growing social media presence will help foster a sense of unity and common ground. Not just in India but across the world. “Muslims are speaking out in the United States, trying to clear Islamophobia,” Kouser said. It is this sense of solidarity that now allows discussions on even taboo subjects such as fasting during menstruation. Arshia Syed, 25, has a low online presence, mostly tweeting about her life. But the mass communication graduate from Mumbai University recently ran the @MuslimVoicesIN handle for a week. Syed does not follow politics closely and she told the handle’s managers as much. They encouraged her to tweet on whatever she felt strongly about such as her volunteer work for a school. Allow me to introduce myself. My name is Arshia Syed. A 25 year old born and brought up in Mumbai, India. I will be sharing a bunch of beautiful experiences, what my faith means to me and how I look at things. PS: Views are absolutely personal. Indian Muslims living abroad supplement this work, much in the same way that some Hindu non-resident Indians on social media propagate BJP’s message. The scientist and the lawyer in the MuslimVoicesIN team, for one, are non-resident Indians. Their reach is limited, though. MuslimVoicesIn, for example, has 5,222 followers. Muslims of India, the title of a Facebook page and Twitter handle started by Muhammad Umar Ashraf, has about 44,000 followers. In comparison, Amit Malviya, head of the BJP’s Information Technology Cell, has 86,900 followers on Twitter alone. Not that the impact is being measured in plain numbers. Pratapgarhi, who has a master’s in Hindi Literature from Allahabad University, for example, sees his performances as just a means to an end: “jab audience poori tarah mere vash main hoti hai [when the audience is under my spell],” he said, he brings up issues such as education. His dream is to establish an academy to mentor young Muslim students and help them choose careers or get into positions of power. Muddying this activism are fake Muslim profiles that target the minority community incessantly, and call for making India a Hindu nation. Then there is the hard to counter rumour and fake news industry run through WhatsApp. Rumours and fake news spread via the messaging app can fan violence as was the case with the Muzaffarnagar communal carnage in 2013 and the lynching of seven men in Jharkhandlast month. 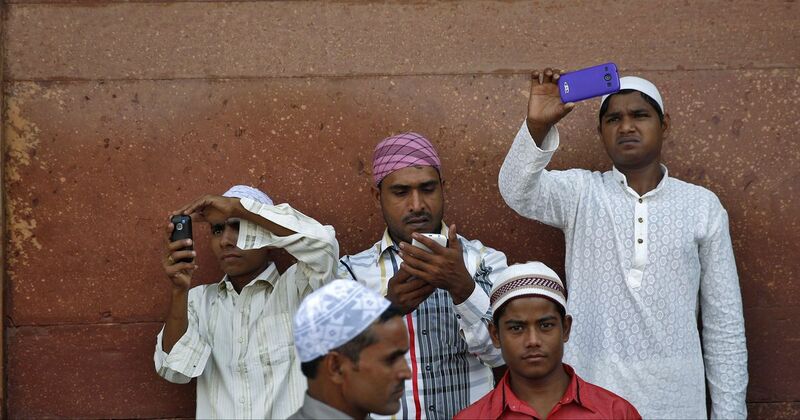 Through social media, online Muslim activists also seek to claim the shrinking secular space. They have had enough of being portrayed as somehow less Indian. Hussain Haidry became a celebrity of sorts after his poem about what it was to be an Indian Muslim was picked up and telecast on NDTV. Ahmad, an alumnus of Aligarh Muslim University, feels that because canards are spread about the community, good work done by Muslims goes unnoticed. Social media can help right this. By way of example, he referred to a Muslim couple Yunus Khan and Anjum – he is a bureaucrat, she is a police officer – sponsoring the education of the daughter of Paramjit Singh, an Indian soldier killed on the border. The couple’s gesture got wide coverage on social media but less so in mainstream media. For their activism, the Muslims on social media often face a torrent of abuse. Rashid complained that he is heavily trolled whenever he defends any Islamic practice, especially on Twitter, even receiving death threats. Their intention and effort is admirable but can Muslim online activists really make a difference, not least when social media has become an echo chamber where people surround themselves with those who share their worldview. Congress bots to BJP trolls: Does social media engagement really shape voter choices in India?